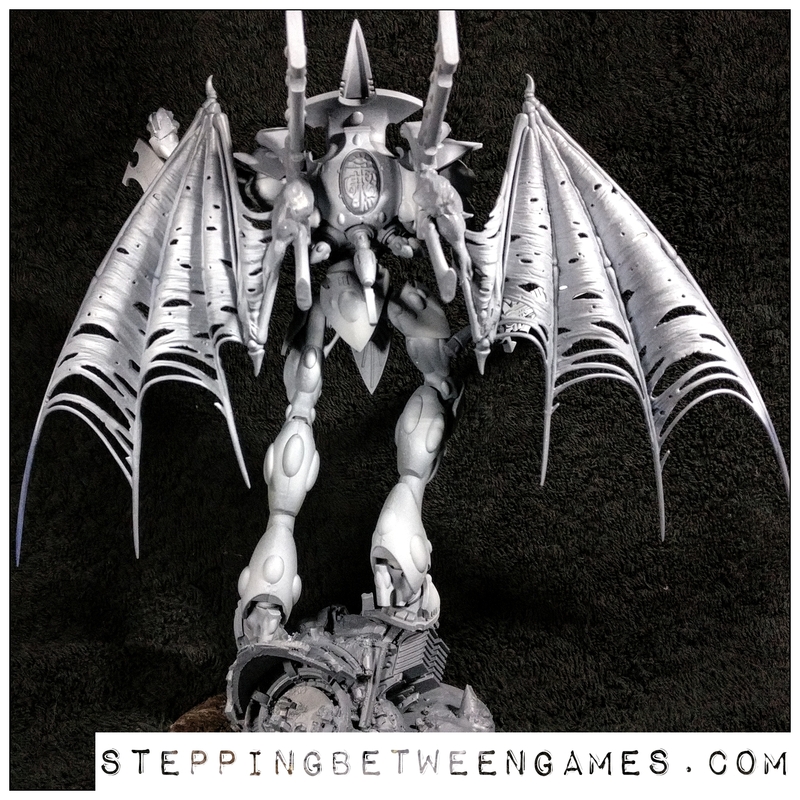 During the month I shared some WiP pictures of my side project for a Eldar Wraithknight With Wings or EWWW for short. Time to look back into that. This is actually the fifth coat of paint on this model. I have been trying to use my airbrush to create a more unique look, the experiments were… troubled. As such I had to go back to basics and start again. My aim at this stage is to either use transparent coloured inks or perhaps try make a glaze to keep the originals shades. Of course the thing everyone notices about this are the wings. To explain this I need to say I have wanted a Eldar Wraith army for a very long time, since second or third edition I think. But it was only recently I ended up with a selection of Eldar from some trades of pieces I wasn’t using. 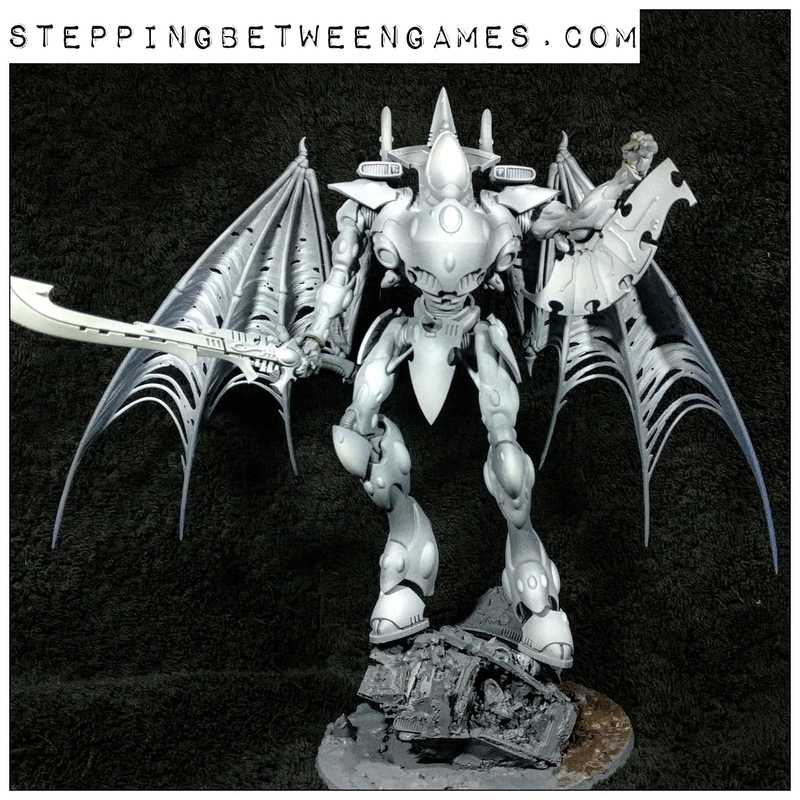 Chief amongst these was a half built Wraithknight. Initially collection of Eldar was just to be traded on. Then I thought to myself this is the only chance I will actually have to do this. 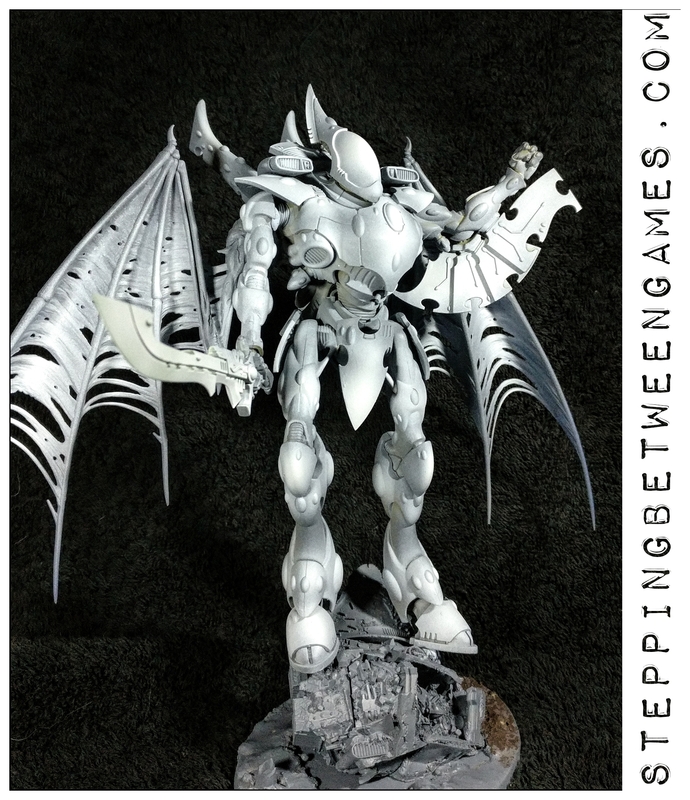 I wouldn’t ever buy a Wraithknight new to convert sure. So there we have it, another random project started on. Any thoughts on colours for this EWWW?